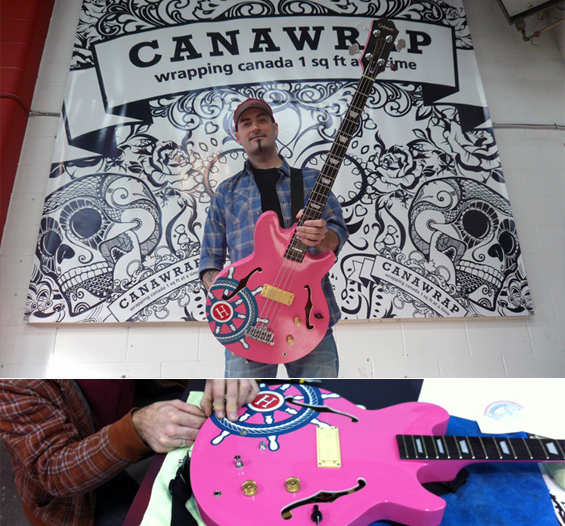 Tommy came to us with the request of wrapping his guitar and giving it a little branding for the video shoot and we delivered him this hot pink wrapped guitar (yes, there is a reason it’s hot pink!) that you need sun glasses to look at! It turned out great and Tommy was super happy with the results!